Under the new Road Traffic & Health & Safety at work Act 2008 plus the new Corporate Manslaughter law introduced in April 08, employers have a duty of care to ensure the safety of employees driving for work purposes. All Companies, large or small, are directly responsible for the safety of all employees. This includes the use of all company vehicles during normal working hours. If you use any vehicle at anytime during working hours for your business then you are responsible. The police can and will be involved in all investigations involving a work related road accident death, or serious injury. In fact police now ask at the scene of accidents if any of the vehicles are being used for work. This means that employers have to manage road risk in the same way that they manage other occupational Health and Safety risks throughout the rest of their business operations. However, even though Government Legislation now requires it, only a small percentage of companies have now implemented a Road Risk Reduction Programme. The financial cost of not doing so can be substantial, fines are between 2.5% - 10% of the annual turnover of a business. For something as little as a defective tyre as well as penalty points for the driver, the company can receive a fine of up to £2,500. Company drivers make up around 12% of licence holders in the UK, yet they are involved in 65% of all accidents and 35% of all fatalities year on year. Yet despite the Health and Safety at Work Act and the strong business case for effective risk management only 8% of company drivers have had any form of training. Do your employees use a company vehicle, e.g a car, van or mini-bus? Fleet driver training can effectively reduce accidents and costs. 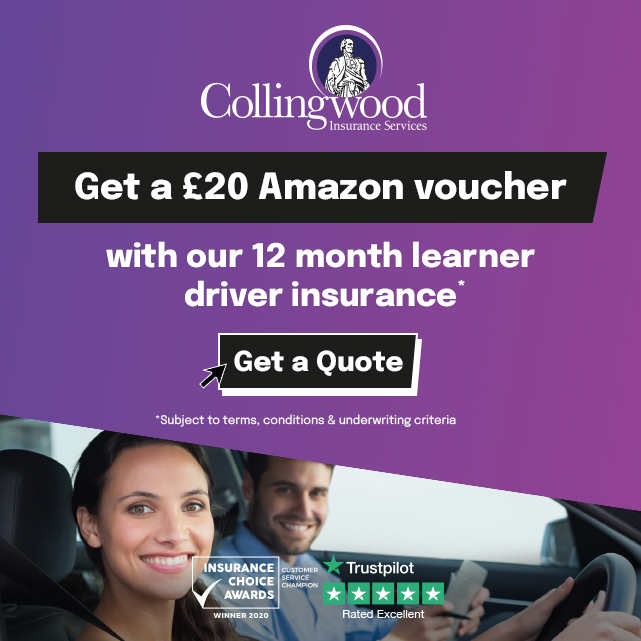 Many insurance companies offer a reduction in premiums for those companies whose drivers are regularly assessed by a DSA Registered Fleet Trainer. Your drivers are an integral part of your business; you have the responsibility to help keep them safe while driving for you. Fleet driver training not only helps improve driving skills; it may also help drivers perform more efficiently therefore reducing costs and stress. It highlights the importance of vehicle safety; again, this will help reduce costs as well as possible accident prevention. In addition, by helping van drivers develop additional skills and improve their driver awareness, drivers and organisations are predicted to benefit from fewer collisions, lower insurance premiums as well as lower running costs and higher resale value of vechicles. In addition, significant environment emission reductions were obtained across the whole scheme. The one day course involves a mix of classroom and on-the-road tuition and teaches the use of driving techniques such as better use of gears (avoiding over-revving and missing out unnecessary gear changes), keeping correct braking distances (not braking hard), fuel economy and better road awareness (seeing hazards in good time). Fleet training can be provided to drivers in any vehicle. Our company recently hired the services of Mr. Steven Porter of M8 Driver Training to take us through the SAFED training. Steven’s approach was very flexible to our company’s needs. Steven came on site and introduced himself to me and another colleague, explaining what we would be doing. The training was very informative and well worth the time. Steven is a very knowledgeable and competent instructor, putting us at our ease and explaining everything in a relaxed and easy to understand manner. After driving for near on forty years, I was amazed at what simple techniques could save on fuel and efficiency, and also good vehicle sympathy. A day well spent in the company of such a professional. Thank you Steven. •	Up to 1 in 3 road crashes involves a vehicle being driven for work. •	Every week, around 200 road deaths and serious injuries involve someone at work. •	For the majority of people, the most dangerous thing they do while at work is drive on the public highway (HSE 1996). So don´t wait until it´s too late. Call M8 Driver Training just now and start to see the savings your company can make by having your staff fleet trained.